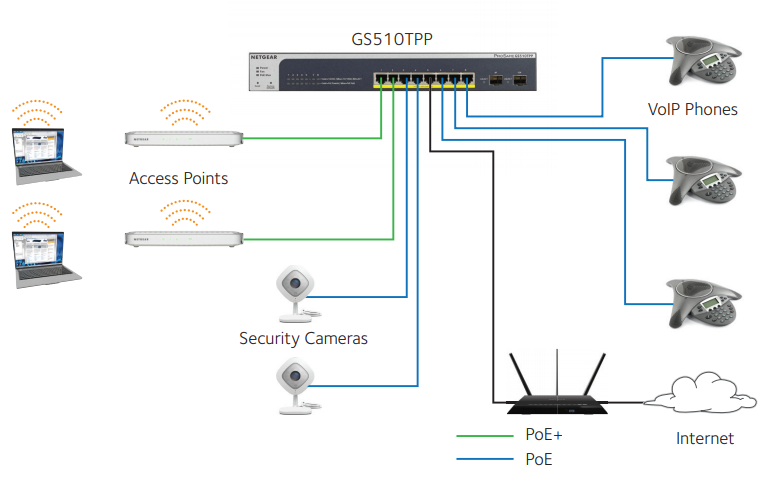 The GS510TLP 8-Port Gigabit Smart Managed Pro Switch with PoE+ and 2 SFP Ports joins the NETGEAR Standalone Smart Managed Pro Switches family, adding full 8 port PoE+ support for deployment of modern high-power PoE devices. 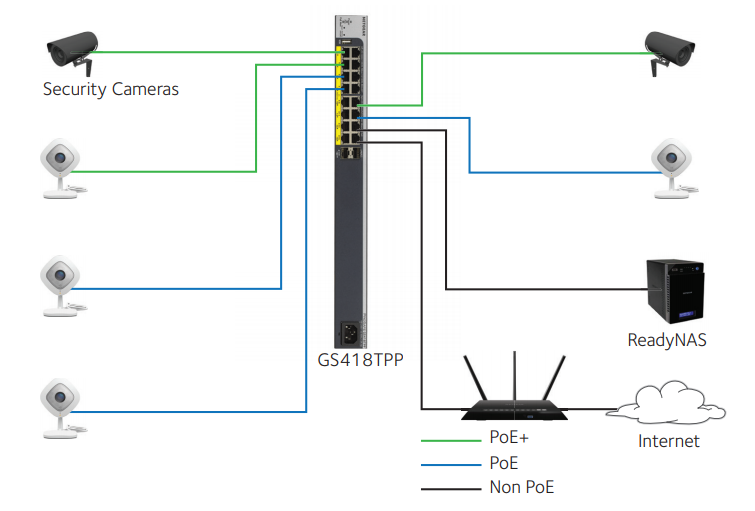 Cautious spender organizations can now deploy denser PoE+ devices connected to a cost-effective switch, with a reasonable PoE power budget of 75W. Fan-less, the GS510TLP supports perfectly silent desktop operation or rack mounting.